Description: Cindy Winters loves to play hockey. When her family''s basement apartment is flooded and the floor freezes, she''s even happy to skate on the concrete. Her parents are too poor to enroll her in a league, but she''s resourceful and does odd jobs until she has earned enough money to play. Armed with her mother''s old equipment, she is thrilled to join a team. But her happiness doesn''t last long. Among her teammates are the horrible Blister Sisters. They make her life miserable. And worse, Cindy''s sidelined by the coach, who just happens to be Mrs. Blister. It looks like she''ll be spending the season cleaning equipment, instead of playing on the ice. Cindy''s luck changes when her Fairy Goaltender appears and saves the day. 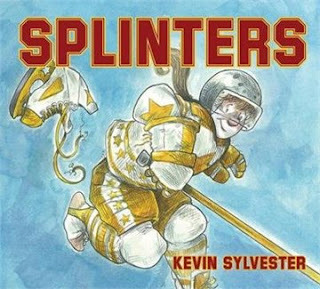 With its great good humor and hilarious illustrations, Kevin Sylvester''s Splinters is bound to become a favorite.